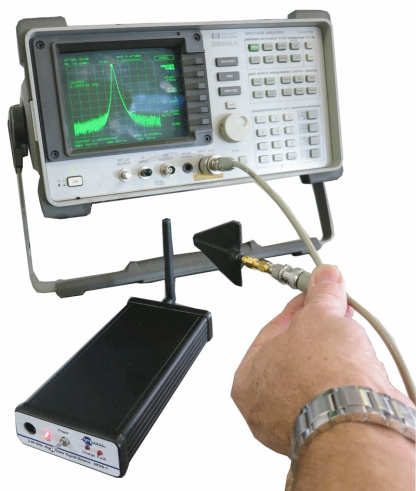 Verify correct operation of your RF shielded test enclosure in your lab or anywhere with this easy to use signal source and antenna kit. 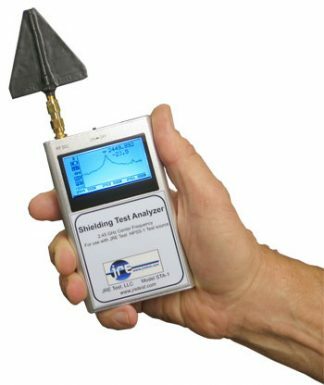 Using a standard RF spectrum analyzer as the receiving device allows fast and easy confirmation of the integrity of your enclosure and the veracity of your tests! A high capacity internal Li-Ion battery allows completely stand alone operation, there is no need for any external power supply or the need to feed power into the test enclosure, thus having the enclosure isolation barrier unimpeded. 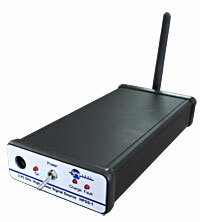 Enclosed within the HPSS-1's rugged extruded aluminum enclosure is a high power, 250 - 500 mW source operating at 2.45 GHz. This frequency is ideal since it falls within the frequency range of most low cost spectrum analyzers and also allows the use of a small Yagi antenna which is ideal for ferreting out any leakage around test enclosure seals, I/O plates or ventilation filters. 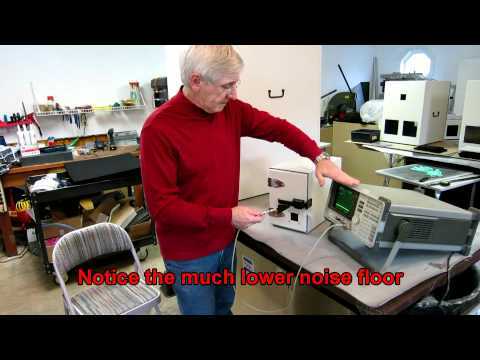 Harmonics can be used to examine higher frequencies, but in general, if your enclosure is tight and shows no anomalies at 2.45 GHz, you'll be good at higher frequencies. 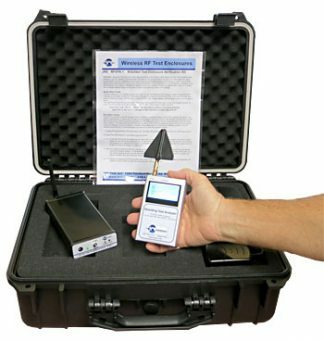 The JRE HPSS-1 is part of the complete JRE TVK Test Verification Kit.